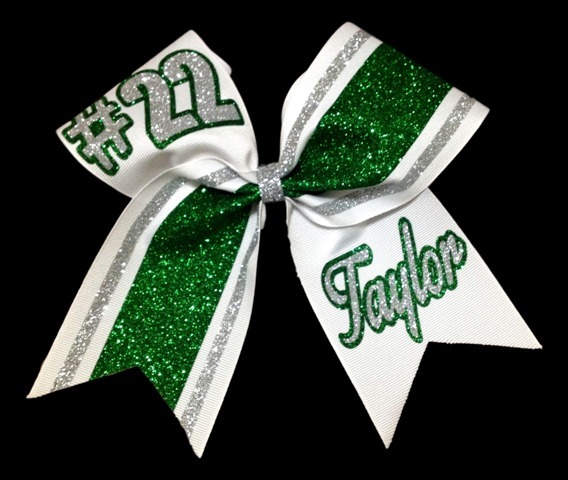 This is our two colored ULTIMATE bow that features a number on the loop as well as a name on the tail. 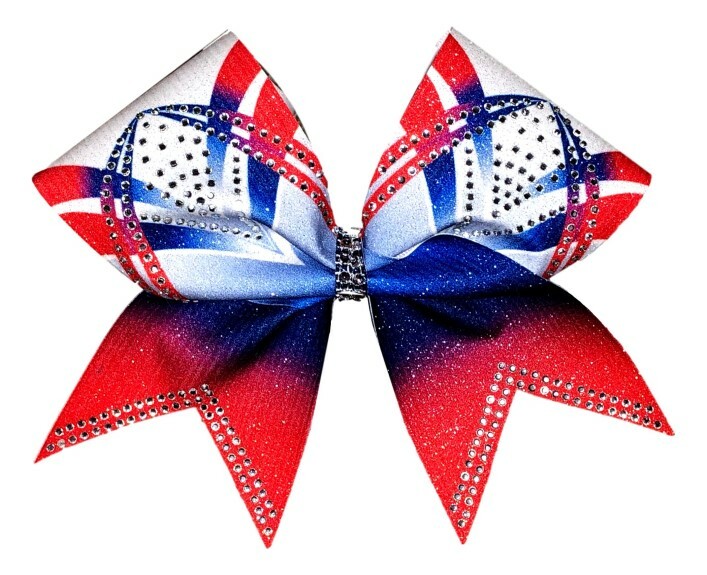 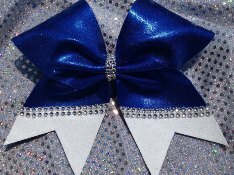 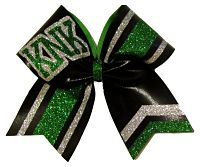 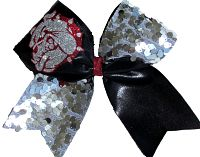 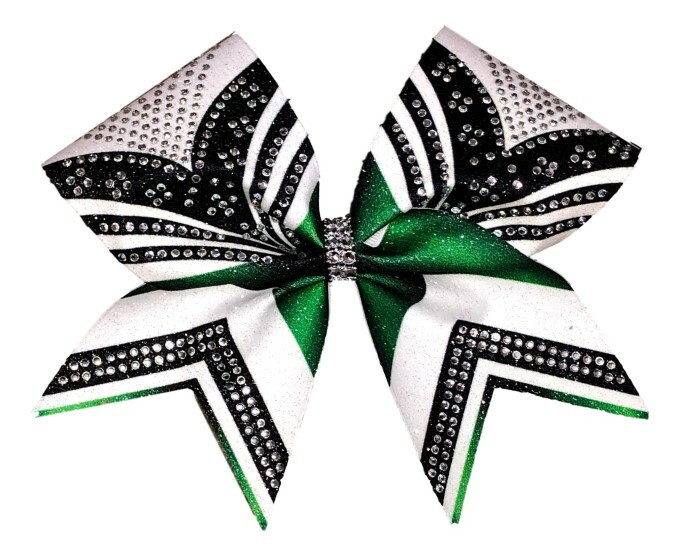 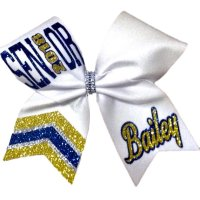 Each bow is made with two glitter colors. 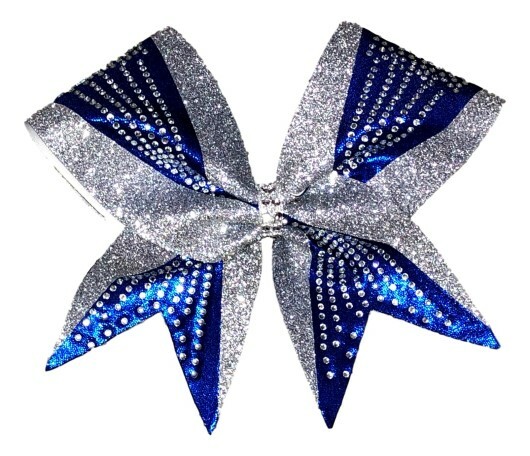 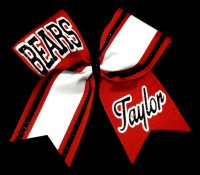 The bow measures 7 inches with 4 inch tails.